It’s hard to imagine that giving away information and knowledge can lead to more business, but that’s the entire point of content marketing. You share what you know with potential customers or an avid readership, and they figure out that you know what you’re talking about. In the end, many of them become customers. Ultimately, people go online to get real answers to their problems. A solid content marketing strategy offers concrete usable information in many formats including eBooks. When done right, eBooks add a new dimension to your content marketing by providing long-form content, anywhere from 10,000 to 40,000 words or more. Effective eBooks solve a problem, answer questions, and help build trust and authority with your audience. Writing and publishing an eBook can seem intimidating but it doesn’t have to be. The most daunting part of the eBook process for many business owners or content creators is deciding on a topic and writing the content. It doesn’t have to be intimidating or overwhelming, especially if you’ve already got a solid library of content to choose from. Look back in your archives. Do you have several blog posts on the same topic? Did you run a series on a specific topic at some point? Use that content as the starting point for your eBook. You won’t publish them in their original format for your eBook, though. Instead, you’ll update each piece, adding more detail and changing anything that’s become outdated. Each blog could be the start of a chapter if you have a lot of information to share. Old content is a great jumping off point for an eBook but you can always write something fresh and new, too. Think of questions you receive from customers or interesting or unusual problems you’ve solved. What are the best practices people should follow for your topic? Create an outline of all the points you want your content to discuss. Before you begin, make sure you know what point you want your eBook to make or what question or problem you want to answer or solve for potential readers. The outline can serve as a guideline and a roadmap for your eBook. Unless writing is something you love to do, hiring a writer to do the work for you is a great way to decrease your stress and make sure your eBook is clear and concise. Be ready for extensive conversations so that whoever you hire understands what you’re trying to do. Before you hire a writer, make your own outline. If you’re using old blog posts, make sure they have access to the content. Be available for read-throughs and to answer questions. You’ll also want to give feedback on any changes or clarification that needs to be made. 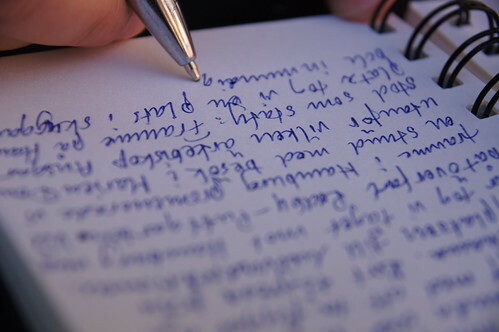 Whether you write your own eBook or hire a writer, formatting is the next important step. While many readers have gone digital, books in any format still need to be easy to read. Turning your Word Document into a PDF and hitting publish isn’t enough. The typeface you use and the way chapters and sections are separated all add to a reader’s experience. Badly formatted and hard to read books make you look unprofessional and distract from the message of your eBook. Hiring an editor will make sure your text is clear and easy to understand. Some editors only proofread for mistakes. Others will help clarify your content. Look for an editor who can help with layout and formatting, if possible. By allowing someone else to look over the content, you’ll reduce errors and increase readability. An eBook that isn’t read by anyone isn’t an effective marketing tool. Smashwords offers a detailed guide on how to format your eBook. Systems like Pressbooks and Scrivener can help format your text automatically. EBook format systems are designed to help the DIY self-publisher have a book that looks good on any digital device. Hire an editor to at least look over your content. After that, if you prefer to have more control over the finished product, you can copy and paste your text into a web-based system or follow a guide to format your eBook. 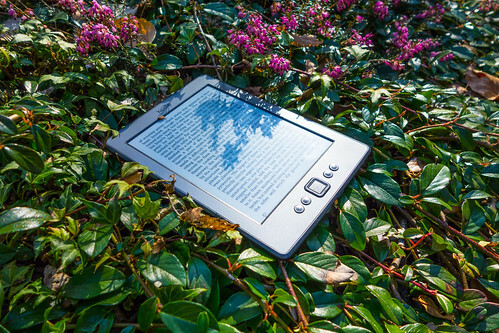 Once you have a written, edited, and formatted eBook, it’s time to put it to good use. 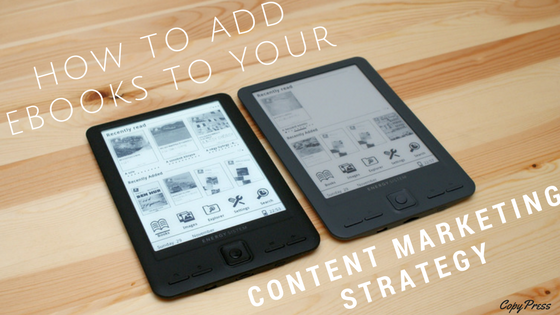 How you use your eBook is determined by your content strategy and marketing goals. Your eBook can be used to earn email addresses or income. The most common way businesses use eBooks in their content marketing strategy is as an opt-in freebie. In exchange for an active email address from a reader or potential lead, you’ll give them a free eBook to help solve a specific problem or answer a specific question. Email pop-ups, landing pages, and social media campaigns can all be used to market your eBook and your email list. Once you have an email address, you can market your products or services directly to them while also helping them and building trust and authority. Depending on the type of business you run, this may be more or less important to you. Your eBooks can be added to Amazon, Smashwords, and other eBook sellers across the web. While this strategy doesn’t work for everyone, selling your eBooks can generate more income and act as a lead generation option for your business. You’ll see more success if you publish multiple titles and spend time marketing your books online. The extra time involved to write, publish, and market more eBooks may help you decide whether this is a good content strategy for you. Ebooks increase your reach and build trust with your audience while generating leads and building your business. Well-written, easy-to-read content that answers questions or solves problems will do better than sloppy, vague, or hastily created content. Ebooks can be a long-term, long-form addition to your content market strategy as long as you provide useful information that actually helps people.